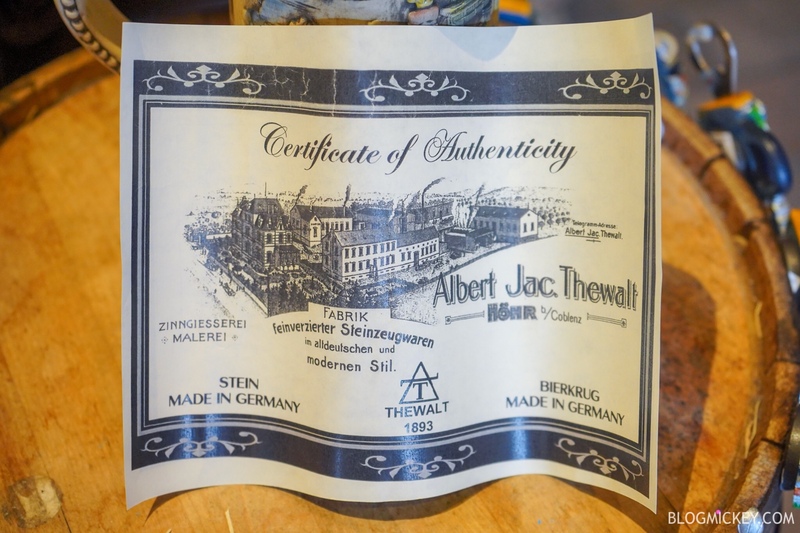 Epcot offers so much in the way of cultural immersion, but there’s one piece of merchandise that allows you to take home a piece of true history. 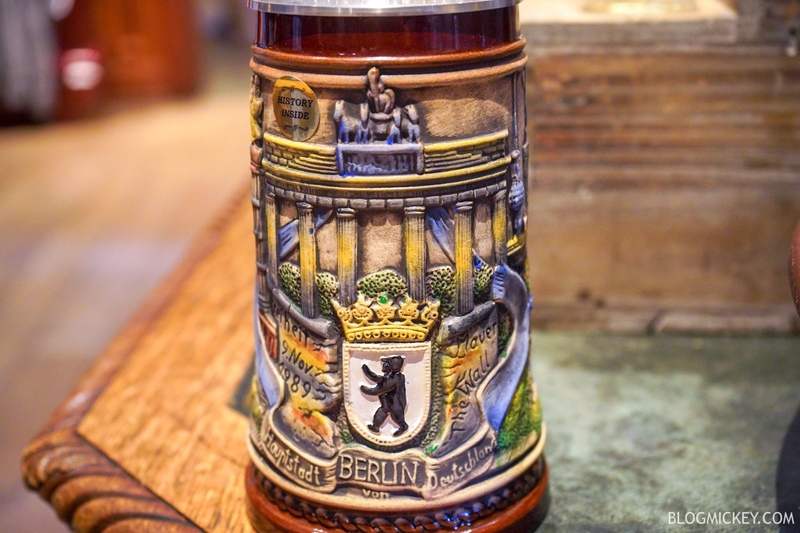 Located in the Stein Haus is a really unique stein – the Berlin Wall Stein. 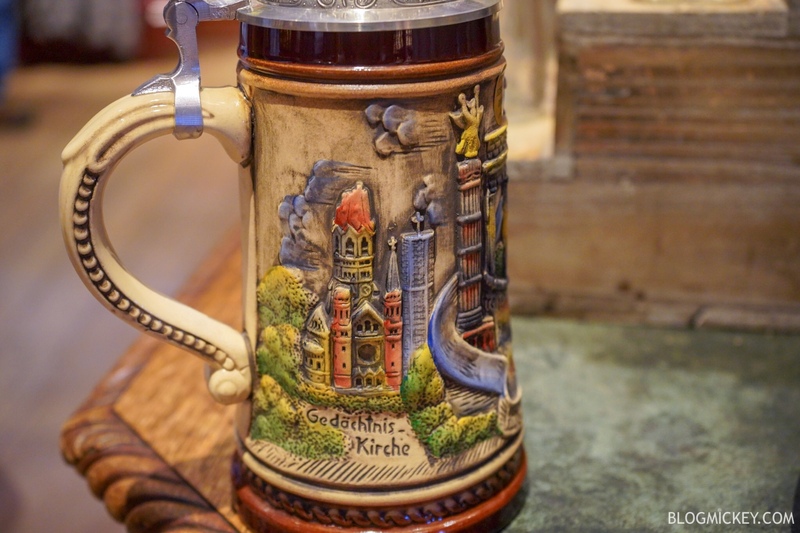 The stein retails for $124.99. 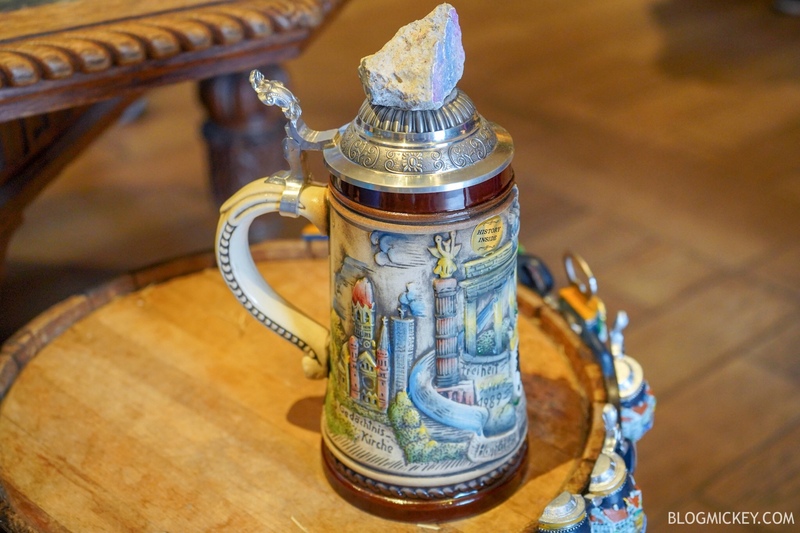 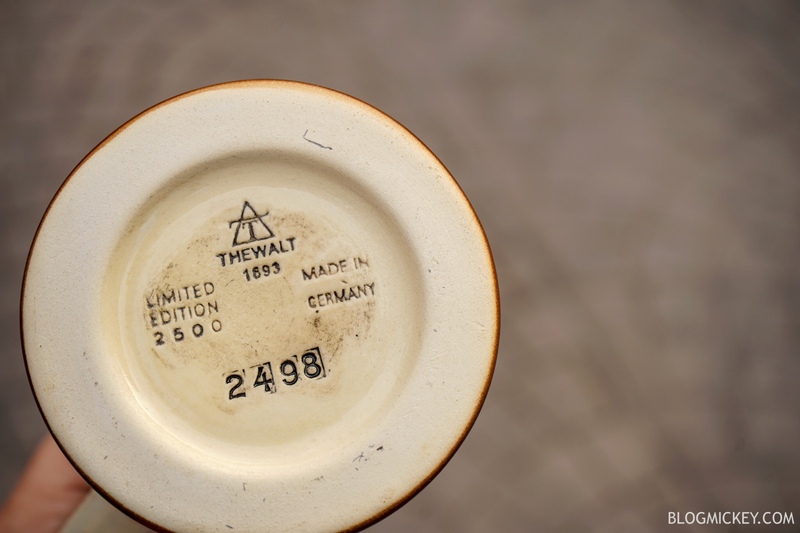 The stein features an authentic piece of the Berlin Wall secured to the lid. 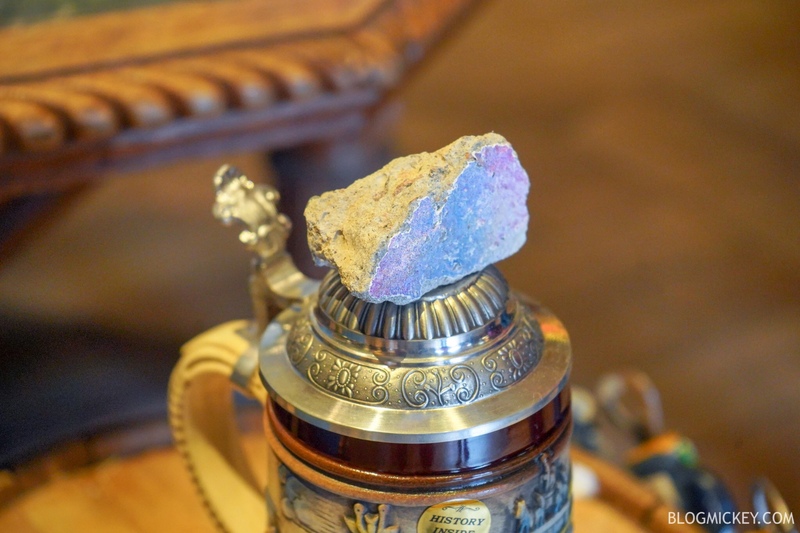 Each piece is unique and features not only a different shape, but also a unique coloration. 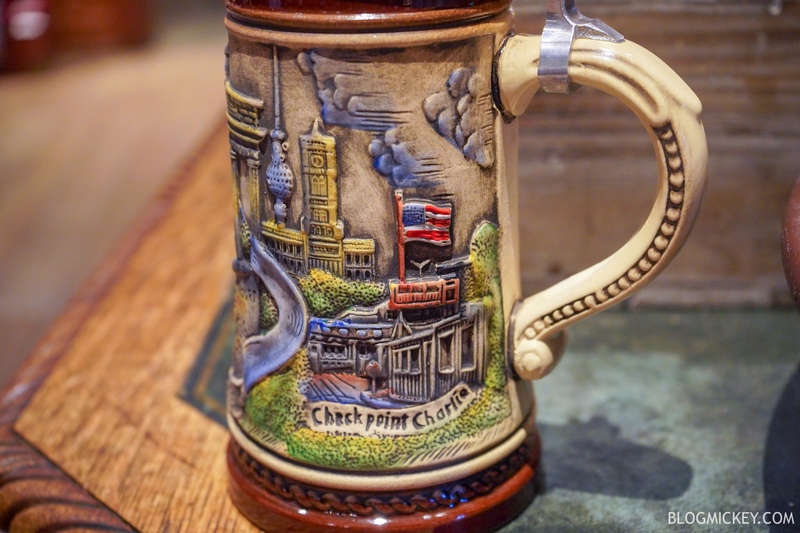 In addition to the piece of the Berlin Wall, the stein also features some wonderfully hand-crafted and hand-painted scenes like this Checkpoint Charlie depiction. 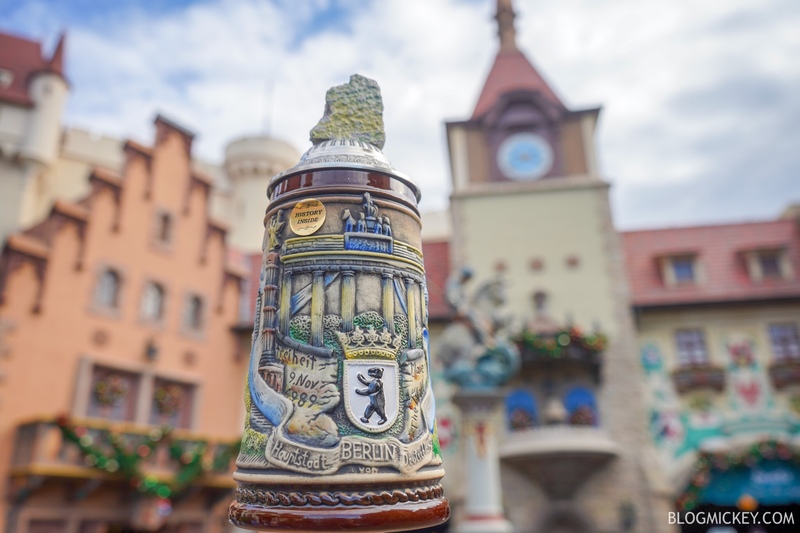 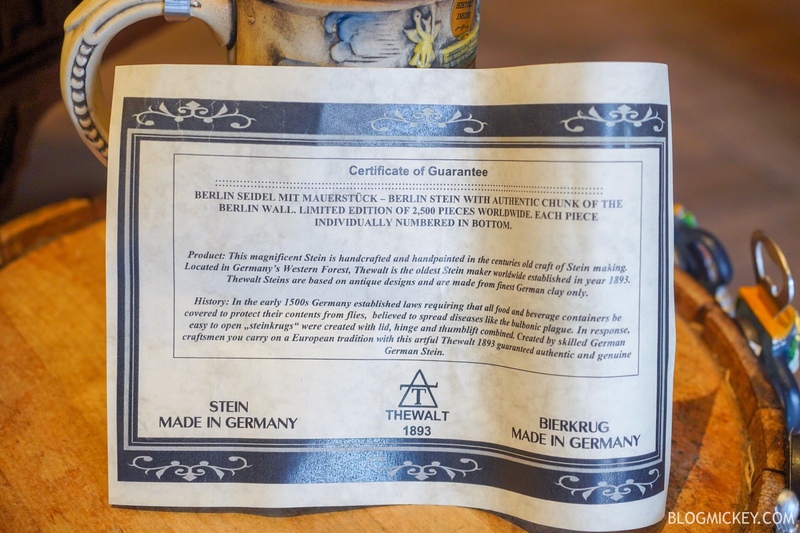 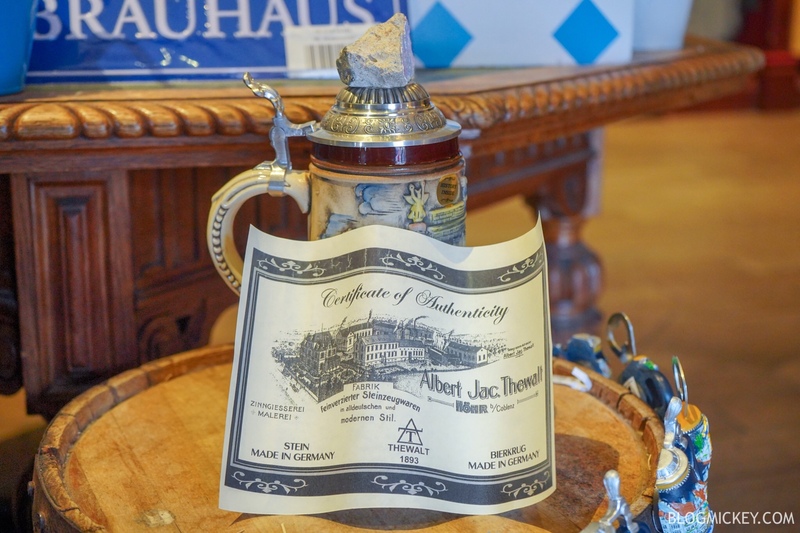 All steins come with a Certificate of Authenticity and are limited edition to 2500.